So says my friend Bob when I tell him the actual ages of those white-wigged founders at the time of the Revolution. It seems to surprise a lot of people to discover just how young many of our national heroes were when they decided to start a new nation. To be sure, we had some wise older heads involved in our founding. Consider Benjamin Franklin—he was 70 when he signed the Declaration of Independence, but on the other end of the spectrum was 27-year-old signer Edward Rutledge. Today Rutledge would still be three years too young to be eligible for the Senate. Thomas Jefferson, who actually wrote those wise and eloquent words, was 33 at the time. If you think John Adams was an old curmudgeon at the 2nd continental Congress, you’re right--he was 41. That is six years younger than Barack Obama as he enters the Presidency. But the names and ages I just gave you are not the youngsters of the Revolution; they are the old wise heads. The young founders were on the field of battle. 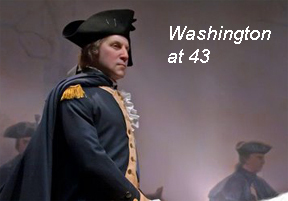 Washington, the General who would one day look out sternly from countless textbook paintings, was 43 when he became Commander and Chief of the army. Only two other people have held that title at so young an age--John F. Kennedy at 43 and Theodore Roosevelt at 42. An athletic and energetic 43 year old Washington is hard to picture when you look at the $1 bill in your wallet, but it makes it a lot easier to see why people enthusiastically followed him into battle. Some of the most capable commanders serving under Washington (in descending age) were: John Sullivan, 36; Benedict Arnold, 35; Nathaniel Green, 34; Henry Knox, 26; George Rogers Clark, 24; and The Marquis de Lafayette, 19. 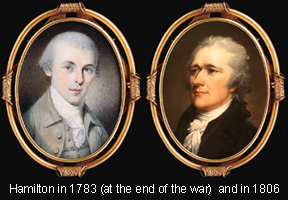 Two men who served under Washington during the war and would go on to prominence in the new republic were 21 year old Alexander Hamilton and James Monroe, 18. Both these men were at the battle of Trenton; Monroe was wounded there. The brilliant young Hamilton was soon to become one of Washington’s aides and later became the first Secretary of the Treasury. Monroe would become the fifth President of the United States in 1817 and preside over what became known as The Era of Good Feelings. Serving with Hamilton on Washington’s war staff were Caleb Gibbs, 28 and John Laurens, 22. The General’s correspondence, orders and sometimes advice flowed through these young men. The age that you were supposed to be able to enlist yourself in the Continental Army without permission from a parent was 16. Joseph Plumb Martin was 15 and lied to get in. We have records of at least one fifer enlisting at age 10 and John Holmes, a drummer in the 11th Pennsylvania Regiment, was 13 when he joined in 1778. The age of militia soldiers could vary greatly--in fact you might have a young man, his father and grandfather all serving in the same regiment. For the Army, the average age works out to around 18 or 19, which feels more acceptable to our modern sensibilities. Remember, however, that an average means that you are balancing extremes on both ends of the equation. Most of us today would have great difficulty seeing a 13 year old (eighth grader) march off to defend our rights and liberties, but it happened and it happened regularly. The images we carry with us of the Founders today are usually taken from paintings created many years after the Revolution in the early days of the Republic. This would be like taking a current picture of Elizabeth Taylor and telling people she was the great beauty of her time, with no images from her glory days. To understand the passions and vitality of the Revolutionary generation we need to see them as they were in the Revolution--active, vibrant, and full-blooded. For eight years, war raged across the countryside of what would become the United States. It happened in people’s cities, fields, and sometimes homes. It was a country for people of passion who would demand independence and seize Liberty from the hands of an arbitrary ruler. 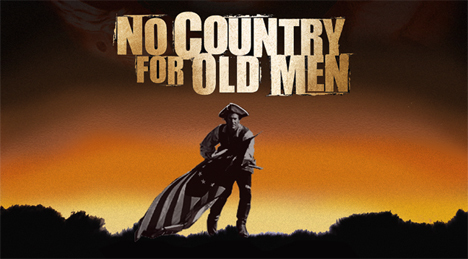 It was no country for old men.